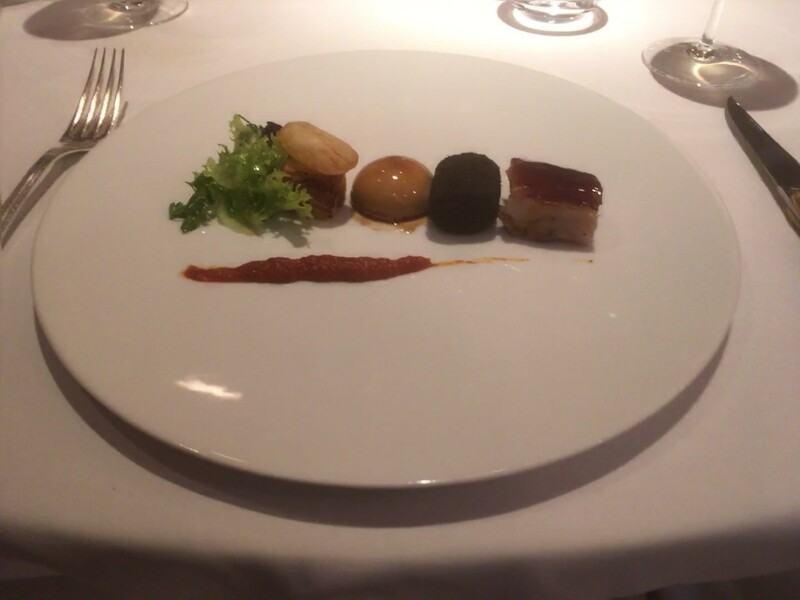 If you love great food and fine dining this blog post will be right up your street but that’s not any old street. I’m referring to a very posh address within walking distance to Ginza, Yūrakuchō and Ōtemachi. It’s right in the heart of Tokyo and it’s a hotel that represents the pinnacle of exceptional dining and five-star accommodation. If you’ve ever been to Japan you’ve probably heard of this opulent venue — it’s the Imperial Hotel Tokyo! My husband enjoys visiting Japan as much as I do and he knew we’d be celebrating my birthday while we were in Tokyo so he said we should have lunch or dinner somewhere really special. When I lived in Tokyo, I always thought the Imperial Hotel was the epitome of good taste and such a romantic location to have a meal with a boyfriend or your husband, so I told Roy the Imperial Hotel would be expensive but such a memorable place to celebrate my birthday and he agreed (bless his heart) straight away and told me to make a booking at the restaurant of my choice (he was afraid they’d speak in Japanese so he wanted me to make the call). When I was younger my father took me, my boyfriend Gus, and the rest of my family to Petit Choux, one of the best French restaurants in Melbourne, for my eighteenth birthday and it was such a wonderful night in so many ways so I wanted to try the French cuisine at Les Saisons. 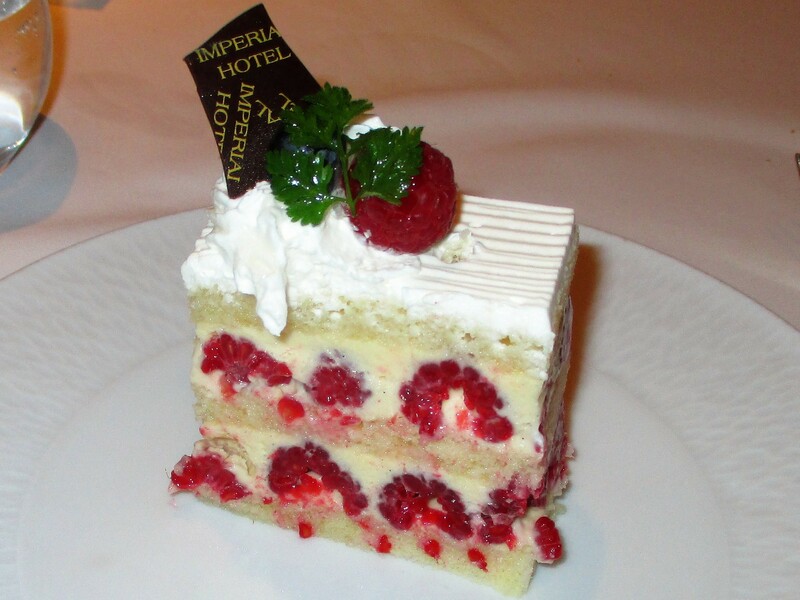 I was hoping this lunch at the Imperial Hotel would be just as amazing as the meal I enjoyed so many years ago. As you can see in the photo below, which was taken in the foyer of the Imperial Hotel, I really dressed up for the occasion. I don’t know why I’m clutching my carrier bag for dear life but I do know I was wearing extremely high heels and I was really afraid of slipping on the highly-polished floor. 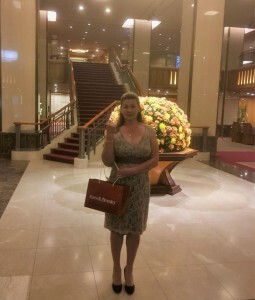 I asked Roy to hold my hand as I walked through the reception area and up the stairs to the restaurant after this photo was taken, thinking it would be pretty embarrassing if I twisted my ankle and fell flat on my face in front of all the sophisticated guests and staff members in this very posh lobby! As soon as you enter Les Saisons you’re aware of the elegant and refined atmosphere that encompasses you from the moment you step through the door. This permeates throughout the entire room which is obviously very beautifully furnished. The carpet acts like a burnt orange, cream and mint green-coloured sea undulating in and around several extremely luxurious islands. There’s enough distance between the tables for you to be aware of the other patrons but you’re not close enough to hear any other conversations. The restaurant was so serene and quiet I almost tiptoed across the plush carpet as we were led to our table, not wanting to draw attention to myself, but as soon as we sat down I immediately felt at ease. 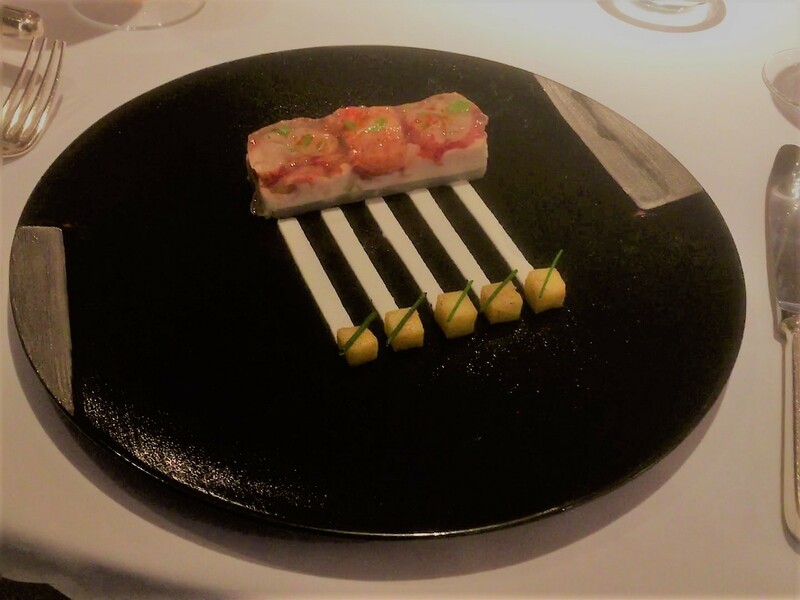 It was like being swept into a lavish cocoon where we could relax, sit back and enjoy being waited upon by the friendly and attentive staff who were there simply to serve me, my husband and the nine or ten other guests, while they made sure our time in their restaurant was truly memorable. Yuka-san has been working at the Imperial Hotel for 12 years and she has spent the past four years as a “Captain” at Les Saisons. She spoke English fluently so I asked if she’d lived overseas and Roy and I were very impressed when she told us she’d only spent five years living in Massachusetts in the States. Not only did she have a wonderful command of the English language, she also had a real passion for her job at this prestigious five-star hotel. The whole meal was delicious but I thought the tastes and textures of the dishes were a bit different to what I’d eaten in the past at French restaurants in Australia and France, where the food can often be extremely rich and very filling. 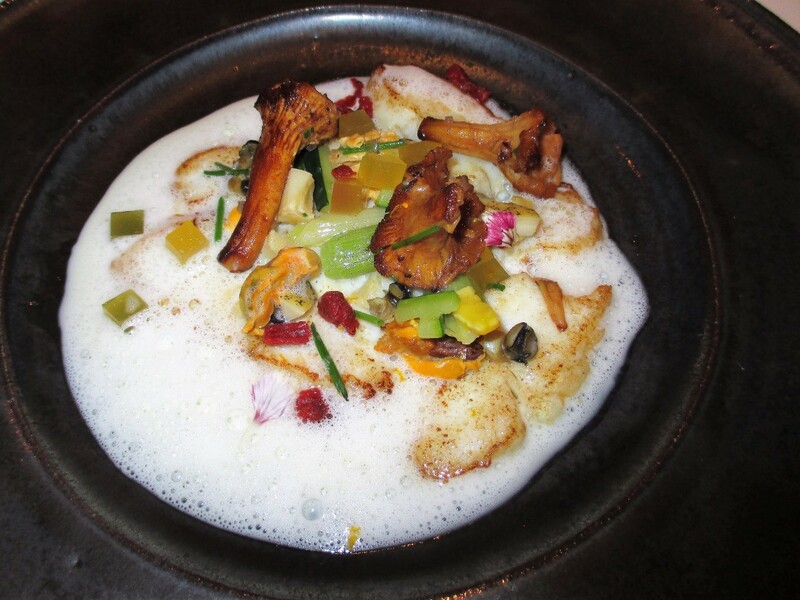 In contrast, this French cuisine at Les Saisons was light and refreshing. 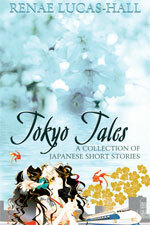 You might even refer to it as sappari (さっぱり) in Japanese. 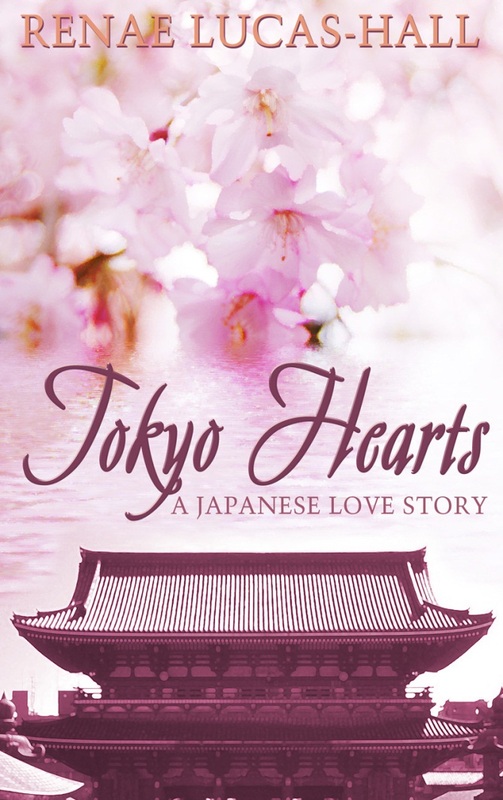 This made sense because this restaurant mainly serves French food to Japanese guests and Japanese food is usually much lighter on the palate than Western food. I must admit the whole affair was very grand right from the start. 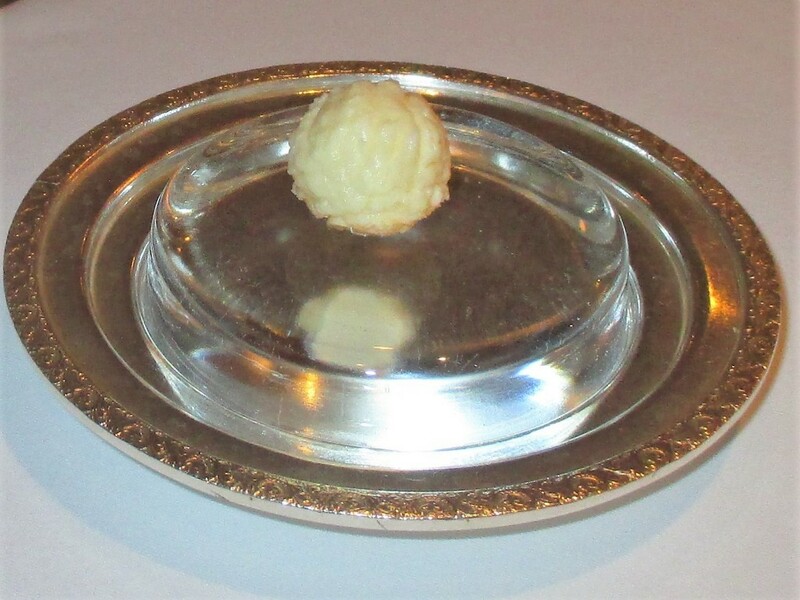 When they bring out a ball of butter on an impressive silver dish like this one you know you’re about to have a meal that will stand out in your mind for many years to come! 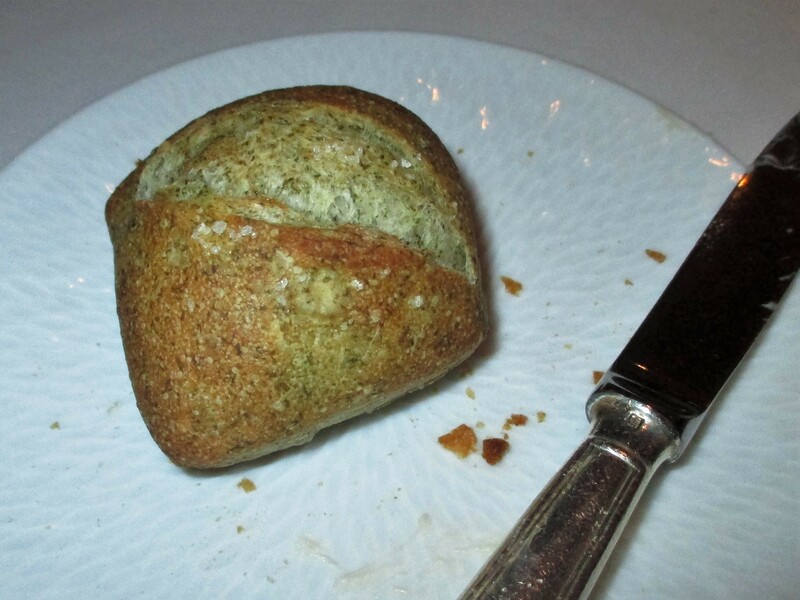 Every time a different dish was served we were offered a bread roll that was suited to that particular dish. They were all very light but slightly crunchy on the outside and each one had a unique taste. I particularly liked this bread roll pictured below. It was infused with nori and it went perfectly with the lobster entrée. There were only a few other guests in the restaurant that Tuesday so our food arrived quickly but not too fast. We had lots of time to savour each dish and it never felt rushed. 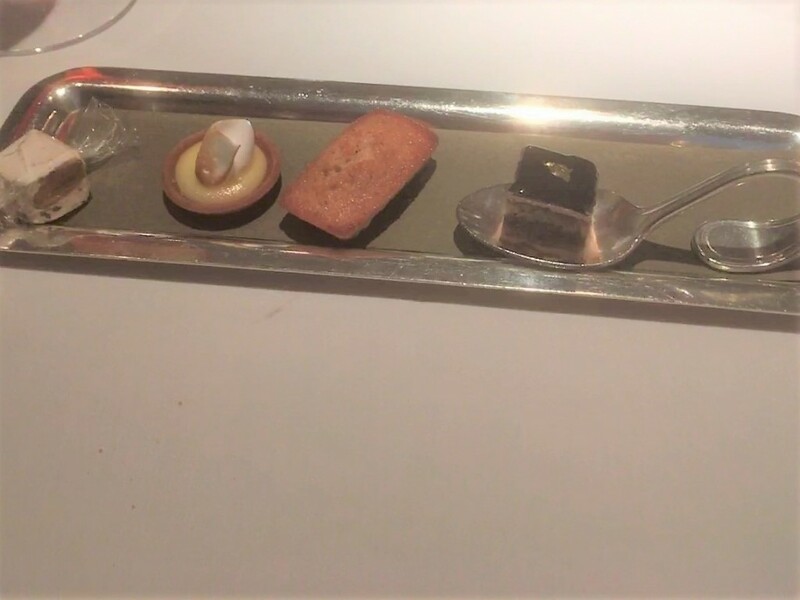 The first course arrived and I was blown away by the presentation. I’d chosen the lobster entrée and Roy had decided to try the daurade (European sea bream). 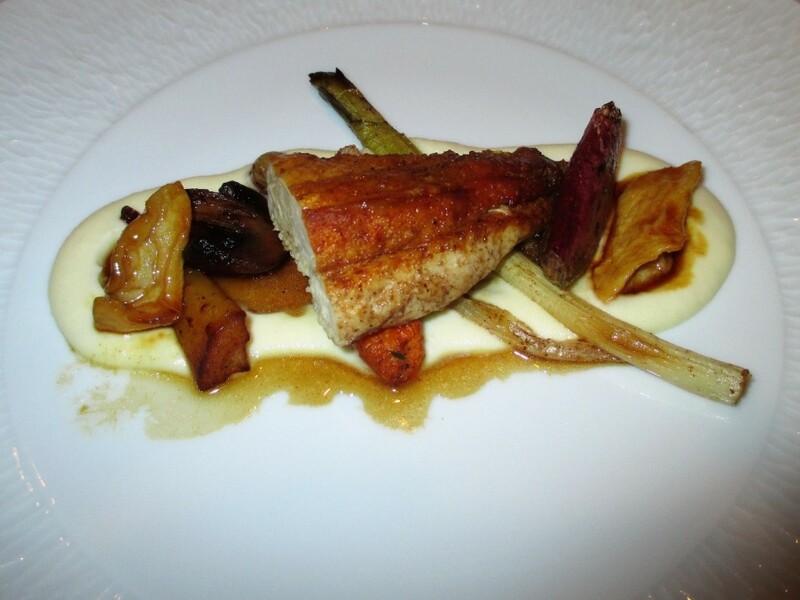 For the main, I enjoyed the roasted chicken and Roy savoured every mouthful of his pork dish. These cakes and sweets after the main course were just lovely! 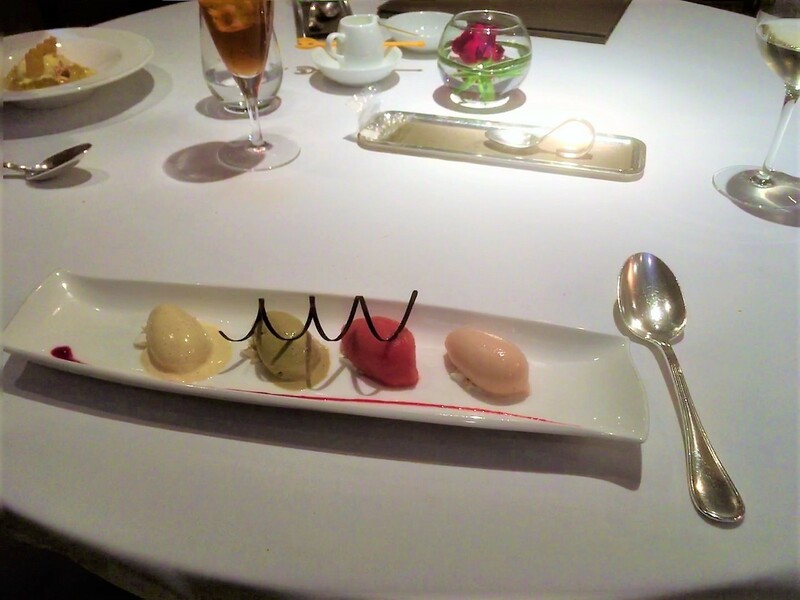 Luckily we still had room for dessert and we were not disappointed. 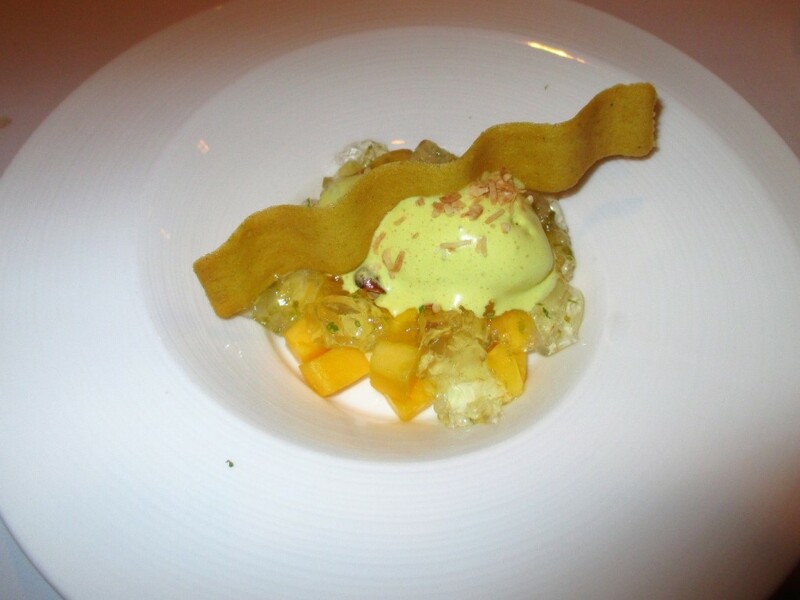 Roy thought the sherberts were just right for the end of a very satisfying meal and I loved the fresh mango and the curry ice-cream. Just when we thought we’d finished eating the staff presented us with this raspberry shortcake as a special complimentary dessert to celebrate my birthday and it was a wonderful surprise. So, how much was this splendid meal for two? The menu changes every three months. You can choose from a 3-course (7,000 yen), 4-course (8,800 yen), or 5-course (12,000 yen) set menu at lunchtime. We decided to go for the 4-course option. We both enjoyed a glass of French wine from the Sancerre region in France and this cost 3,600 yen for two glasses. I also had a glass of San Pellegrino mineral water and an iced tea for 1,100 yen and Roy finished off his meal with a beer for 1,400 yen. A service charge of 2,370 yen was added to the bill but the goods and services tax (1,970 yen) was included in the price of the meal. In the end, the total cost was 26,070 yen. We didn’t leave a tip because it’s considered rude in Japan to tip. Was it worth the money? Absolutely! 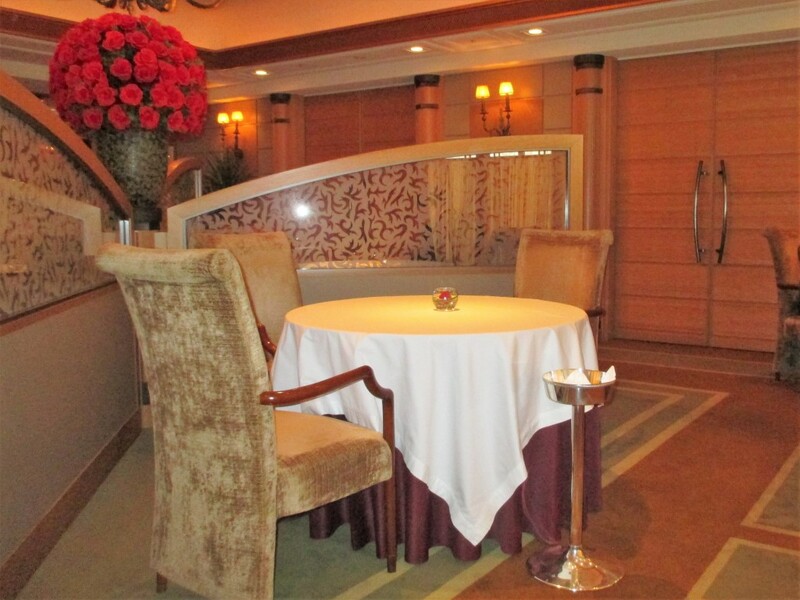 It was a very romantic restaurant, the food was delicious and the service was exceptional. Would we eat here again? Definitely, but next time I’d like to try the kaiseki cuisine at the Tokyo Nadaman restaurant or the Tokyo Kitcho restaurant. Roy and I really like tempura so we’d also love to dine at the Ten-ichi restaurant which is located on the lower level on the first floor inside the Imperial Hotel. 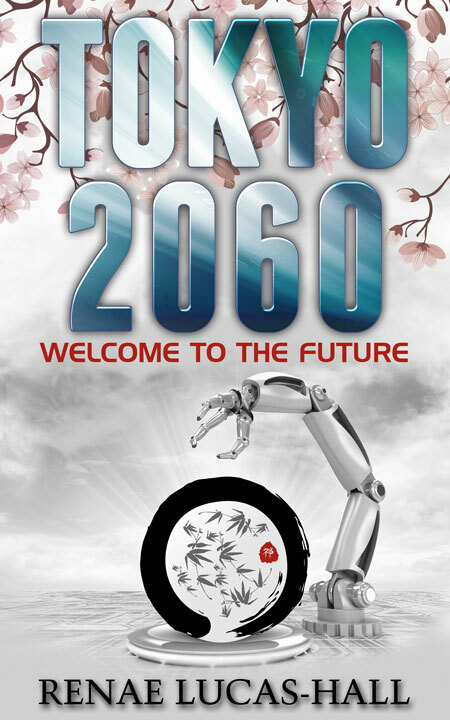 Tel: +81-3-3539-8087 Booking a table in advance is recommended. Please note that men are required to wear a jacket when they dine at Les Saisons. 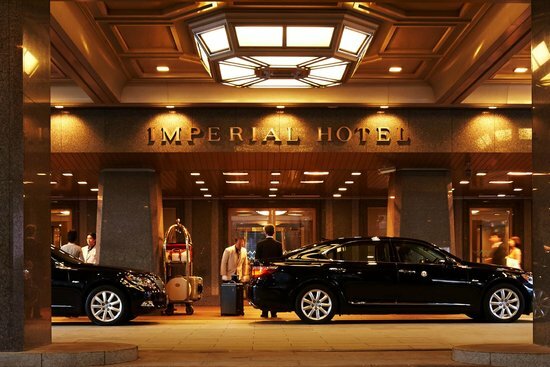 The Imperial Hotel Tokyo is a 3-minute walk from Hibiya subway Station (Exit A13), a 5-minute walk from Ginza subway Station (Exit C1), and a 5-minute walk from JR Yūrakuchō Station. If you’re travelling to Japan I can assure you a stay at the Imperial Hotel Tokyo will exceed all your expectations.